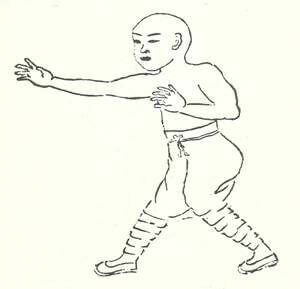 Tzu men chuan is a soft style of kung-fu that was developed in the Shaolin Temple. The origin of this system is shrouded in mystery. 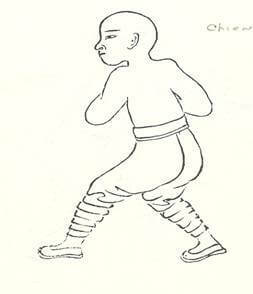 The earliest recorded history of Tzu Men Chuan is in the Ching Dynasty, during the reign of the Emperor Chenlung (1736-1796). During this period, the style was transmitted to the Keangse Province and became very popular. 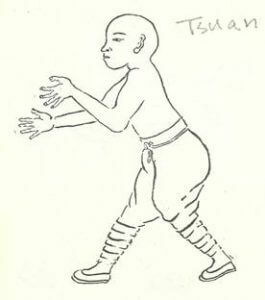 Tzu Men Chuan is one of very few systems that actually teaches the “death touch,” which teaches the points of the human body. In order to learn the final phase of this system, you must first study from your teacher for many years. Your teacher must know you very well, and must trust you completely. Second, your fingers and hands must be very strong and yet flexible and soft. Third, you must be a very polite and humble person. You must be able to control your temper at all times. 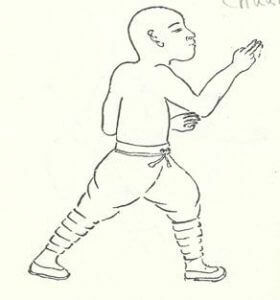 The Tzu Men Chuan system has only 3 forms and 6 fundamental techniques along with the 18 characters. 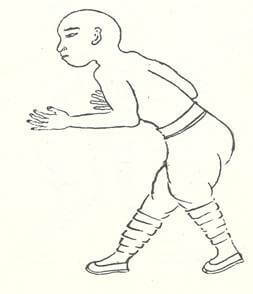 Merely repeating the forms over and over again will do little more than teach you the order of the moves. 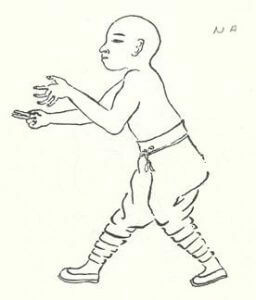 You must constantly think of how each movement relates to the principles of this style. You must know how to use every move of the form in a fighting situation. Doing the form correctly teaches students many things. 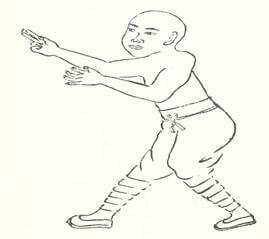 Students should be able to develop a sense for the enemy while doing the forms and should constantly focus on how to apply each techniques if found in a confrontation. They need to feel what their bodies are doing during each movement of the form. They need to be able to feel each movement and each technique. Students are urged to be creative. They need to get away from the idea that a movement in a form can only have one application. 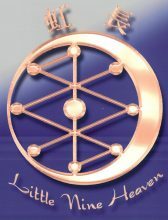 Students must constantly study and train in order to understand the secrets hidden within the form. 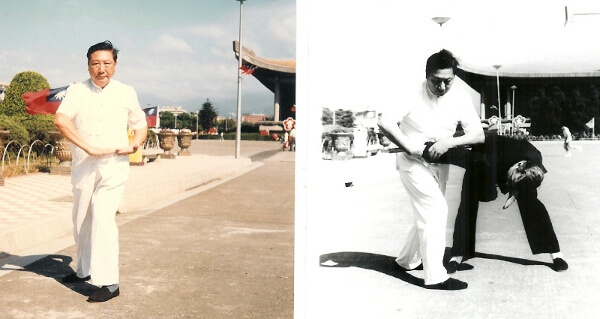 One summer day in Taiwan when Master Chin was teaching me he said, “Jim, we Chinese are not very smart people, because we only know how to count to one.” I told him that I didn’t understand. 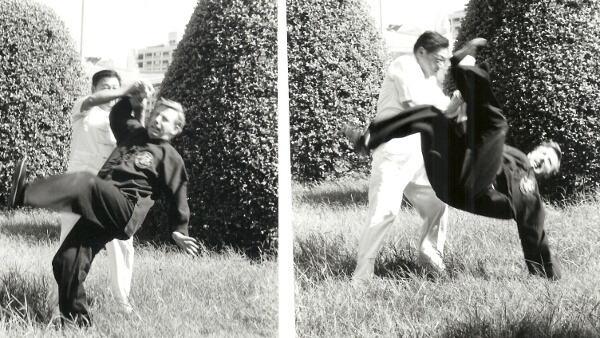 Master Chin said, “Throw a punch at me, anywhere.” When I threw a punch he blocked it and hit me at the same time. He said, “You see Jim, when you are relaxed and confident, you react without anticipating your opponent’s move. Relaxation, self-confidence, and feeling, combined with hard training and the knowledge of the proper angles and techniques, will ensure that you never have to count to two again”. When you face an opponent and realize that he is about to harm you, you must act fast. 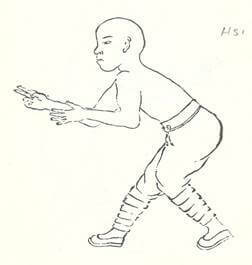 You must lunge forward as fast as you can. You must move close enough to him so that you can kiss him with any of the seven weapons of your body, while at the same time feeling for the opening of his defenses. When learning fighting techniques you should never memorize a single move for a given technique. Because every fighting situation is different, your response should come from feeling your opponent’s action, not from a predetermined plan. You must stay relaxed so that you can move quickly to neutralize the attack. 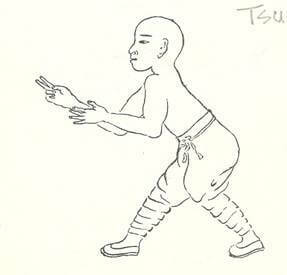 The meaning of the word Tzu is “Character.” Each character represents one set of postures. 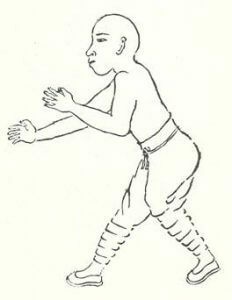 In fighting, each posture has its own special spirit and method. However, the style emphasizes a flexible approach in strategy and encourages practitioners to always be alert to a change in circumstances. 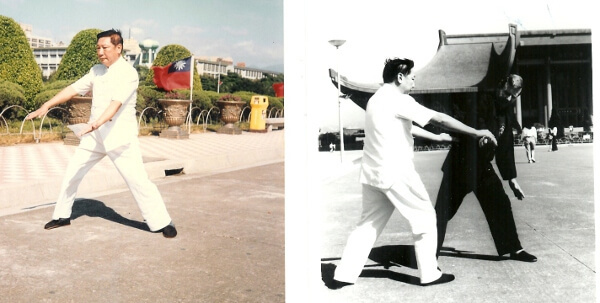 Tzu Men Chuan’s movements are very light, fast, vicious and accurate. There is no strength used until you reach the opponent. Then you can adapt to circumstances. Always use the opponent’s force to defeat his force. Neutralize the opponent’s force by using no force. 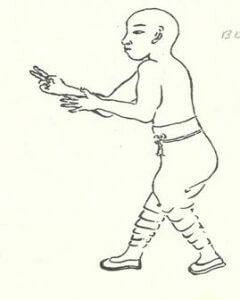 In defense, always keep contact with the enemy and remain soft, light, flexible, and also nimble and active. You can minimize the opponent’s attack and escape whenever there is an opportunity. To understand the governing principles of Tzu Men Chuan, it is extremely important that one understands the first eight characters. Tsun is a way of feeling what the opponent is going to do. 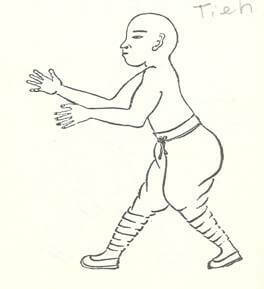 The posture is simple and merely involves stretching your hands. 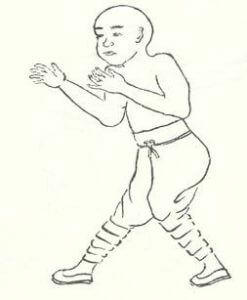 If the opponent attempts to interfere with the posture, change to another posture. If there is no interference from the opponent, you speed up and immediately attack. There is no tension in your attack until contact is made. Strength is not used before or after touching the opponent. It happens suddenly when you reach the opponent. The execution of Tui is similar to the action of throwing a javelin. It is connected to the first character. 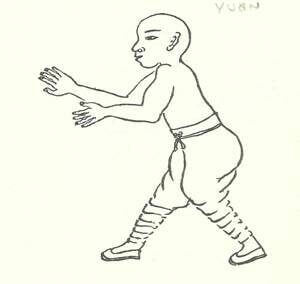 When these two postures are combined, they are named “biau-tsan (stretch out hands and speed up forward). The principle is to find the opportunity to counterattack by applying the strategy of tsan’s attack. (Speed up and attack) to overcome the opponent. Yuan can help you if your attack fails, or your hand is held or blocked by the opponent, thus creating an opportunity for the opponent to attack you. The meaning is to move an instant before the opponent has a better position to control or beat you. It is like trying to beat the opponent by using faster section time. “To do something in haste, as in an emergency”. When the opponent forcefully attacks, adhere and follow the direction of the force. Then deflect the force in another direction. This will make the enemy become unbalanced or even fall over. After this, use tui (speed up and forward to counterattack. If the opponent is very strong, you can trap his attack then step forward and tui (speed up and go forward). As soon as contact is made with the opponent, yield. This will neutralize the strong attack. Once the opponent’s attack stops, then use bee (trapping) as a counterattack. For this reason, it is important for bee and his to be practiced together, as a combination. Make contact with the opponent’s attack, but relax your hands. Follow the opponent’s movements and wait for the opportunity to take the opponent to a bad position. 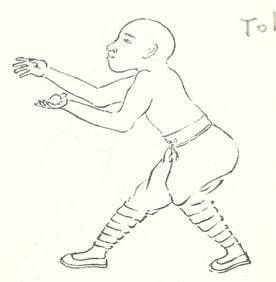 When the opponent attacks with great force, open your palms (facing horizontally) and deflect the opponents force up. Still keep the contact with the opponent and then tui (speed up and forward). If the opponent is close and tries to use the shoulder or elbow to strike you, then use your hands to catch the opponent’s shoulder and elbow and make him turn a circle to minimize the attack. Cha is like the action of chopping wood. Using one hand from a high position, chop down through the opponent’s defense. Do not loose contact and attack forward with the other hand. The opponent uses his hand to attack you with a chop. Use your hand to trick him by blocking and redirecting this attack. 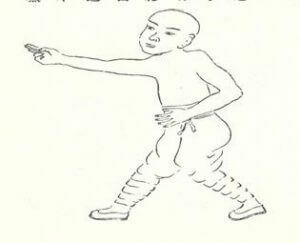 At the same time, the other hand moves close to the opponent’s body and executes a throw. If the opponent uses both hands to attack down, use your hands to lift his arms. 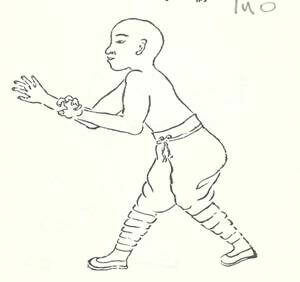 At the same time, bend your fingers and poke them into the opponent’s skin. Push the opponent’s arm up until he is completely under your control, then move in close and push forward. This character is used to help other characters. Step forward and adhere. 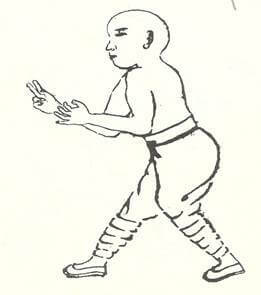 If the opponent tries to avoid you, follow him whichever way he turns and moves. Never lose contact, and at the right time step forward and push. At the time of the opponent’s attack, meet his attack with an attack—not from the front but the side (this will minimize the opponent’s force). At this time, push forward. When the opponent attacks with force, don’t use force to confront him, just step back and sink as you yield. This will neutralize the attack and make the opponent miss his target. It can be likened to swallowing the opponent’s force and then immediately ejecting the attack. Throw away, as if you are a spring. When you are executing tuen (swallow). You should be like a spring that is contacting. When you are executing tu (ejecting), it is exactly the same as releasing a spring, it is exactly the same as releasing a spring. The two characters are combined in application. 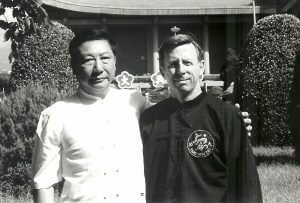 This article is written in honor of my beloved teacher Master Chin Chen-Yin, who I love and miss very much.